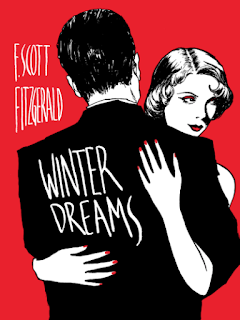 The short story “'Winter Dreams” by F. Scott Fitzgerald mostly took place in the 1920s, known as the Jazz Age. Behind the brilliance and glamour of those years lay a feeling of emptiness and hopelessness. During these years there was a drastic change in people’s lifestyle and values which presented a new freedom which not all were ready to accept. It is likely that that mood, that feeling of restless and uncertainty was expressed in the title of the story. At the beginning of the story the young boy, Dexter, worked in a golf club as a caddy. His father owned a large grocery store, so Dexter didn’t lack for money and worked not out of necessity but simply for pocket money. In this way, Fitzgerald established Dexter as a clever boy, who eagerly wanted to achieve success in life. He dreamed about being a champion golfer and imagined himself as a celebrity surrounded by huge crowds, among which was the golf clubs owner, Mr. Mortimer Jones. Dexter was fourteen when he met Mr.Jones’s eleven-year-old Judy who came to the club with her nanny. Dexter finished his job and he was going to come back home. He suggested to wait for the caddy-master, but the girl demanded that he served them. When his boss came and ordered him to assist the girl, he said that he quitted the business. This was the first, but not the last time that an encounter with Ms. Jones would change Dexter’s life. Next year Dexter studied in university, bought a partnership in a laundry. Dexter bought it to learn how this business works and soon he was running several branches of laundries. When he was twenty-three he got an invitation to be a member of a golf club where he worked as a caddy. There he met Ms. Judy Jones the second time. "if I'd thought of him as poor —well, I've been mad about loads of poor men and fully intended to marry them all. But in this case, I hadn't thought of him that way, and my interest in him wasn't strong enough to survive the shock. As if a girl calmly informed her fiancé that she was a widow. He might not object to widows, but—"
Judy asked Dexter if he was poor, he said "No". It was not obvious but it seemed that being rich was a mandatory condition to have relationships with her. The author described this episode as, "she communicated her excitement to him, lavishly, deeply, with kisses that were not a promise but a fulfillment." "A million phrases of anger, pride, passion, hatred, tenderness fought on his lips. Then a perfect wave of emotion washed over him, carrying off with it a sediment of wisdom, of convention, of doubt, of honor. This was his girl who was speaking, his own, his beautiful, his pride." Dexter’s marriage was ruined but the relationship with Judy had no future. Dexter then moved to New York City, for a few years he didn't hear about Judy. When Dexter was thirty-two he had a conversation with a man named Devlin. Devlin came into his office to see him in a business way. During the conversation, Devlin mentioned that he had a friend from the Middle West who married a girl from Dexter's home city. That was Judy. Devlin said, that Judy was too old for her husband. He drank and spend lots of time with other women and she stayed at home with her kids. Devlin's remark that she was too old for him shocked Dexter. He knew that Judy was only twenty-seven. Devlin commented, “Lots of women fade just like that”. "He had thought that having nothing else to lose he was invulnerable at last— but he knew that he had just lost something more, as surely as if he had married Judy Jones and seen her fade away before his eyes. The dream was gone. Something had been taken from him." During the entire narration, the author expressed the desire for a wealthy life of his main characters. It is likely that thoughts of the main characters have a connotation with his life. His future wife Zelda refused to marry him before he gained enough money for the family's future. Throughout "Winter Dreams" was represented the theme of the ideal American life, of money and wealth. Judy was the continuous "dream" in Dexter's life, as well as Zelda was Love of the whole Fitzgerald's life.